Nissin Chow Mein - spicy chicken. Nissin USA makes a lot of noodle products. Some good, some bad, but none of them great. 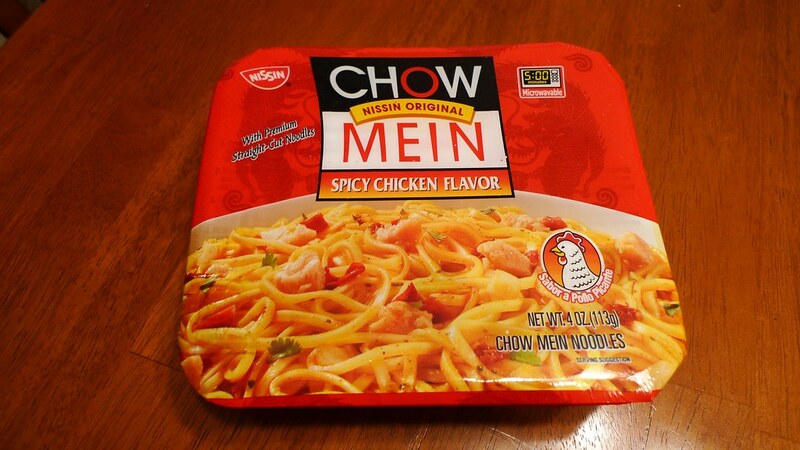 Here is the spicy chicken flavor of their Chow Mein line. Americans love their chow mein. I'm not sure why since I think it's pretty tasteless and Americans seem to love bold flavors. So, is Nissin's Chow Mein any good? Find out while reading the full review. 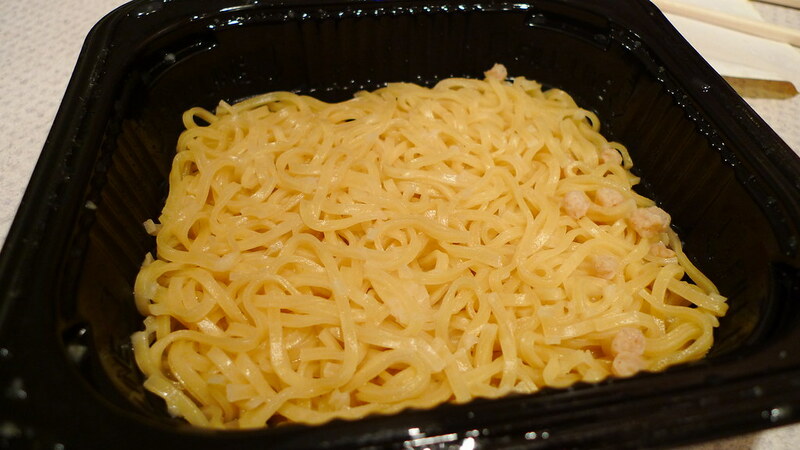 Nissin spicy chicken Chow Mein comes in a rectangular styrofoam bowl. 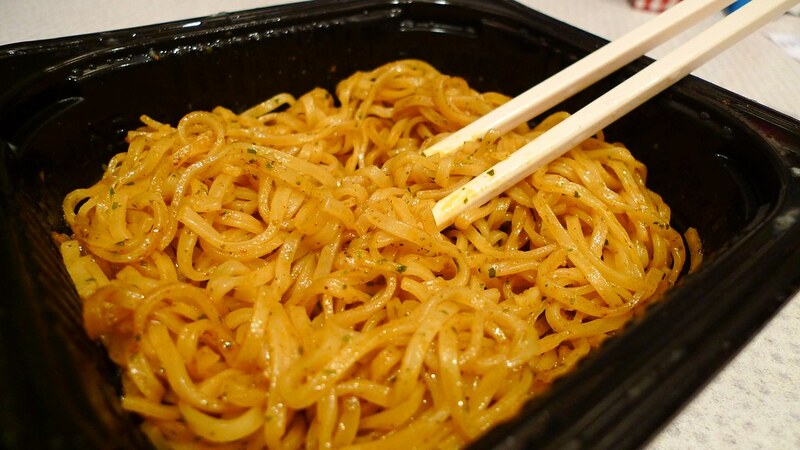 The packaging is quite attractive with an appetizing picture of the noodles. 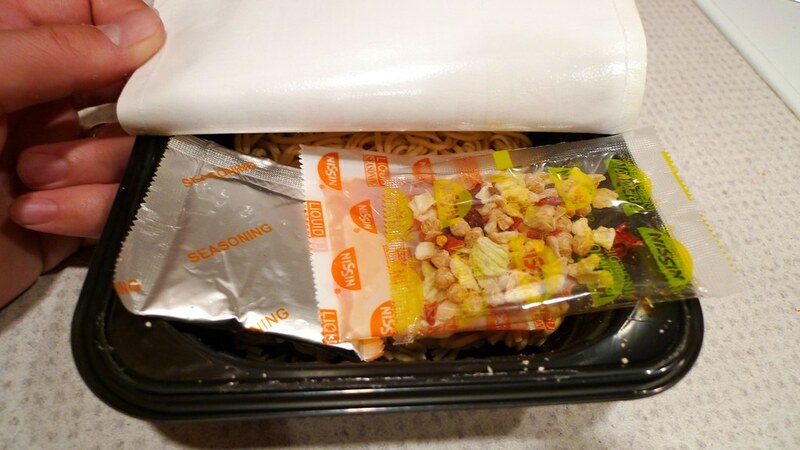 There are four individuals items inside the bowl: noodles, dried vegetables (they call it "premium ingredients"), liquid seasoning, and powdered seasoning. 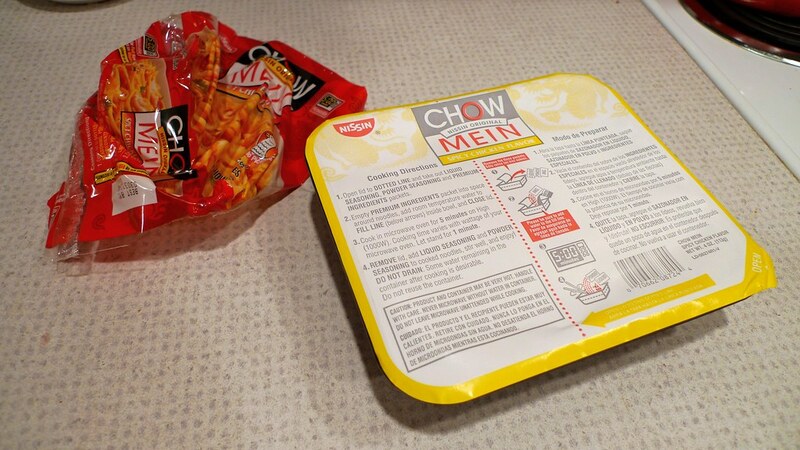 The three packets and noodles in Nissin's Chow Mein. The cooking directions tell you to put in the dried vegetables with water and noodles in the microwave for five minutes. The seasoning packets are added afterwards. I think there's a bit of a flaw with this. The water is supposed to be fully evaporated and absorbed by the time it is done cooking, but every time I've tried Chow Mein, there's more water at the bottom than there really should be. It causes the meal to be a little more watered down. Now, one could self-drain the noodles if they wanted, but my point is that it doesn't mention that in the instructions. 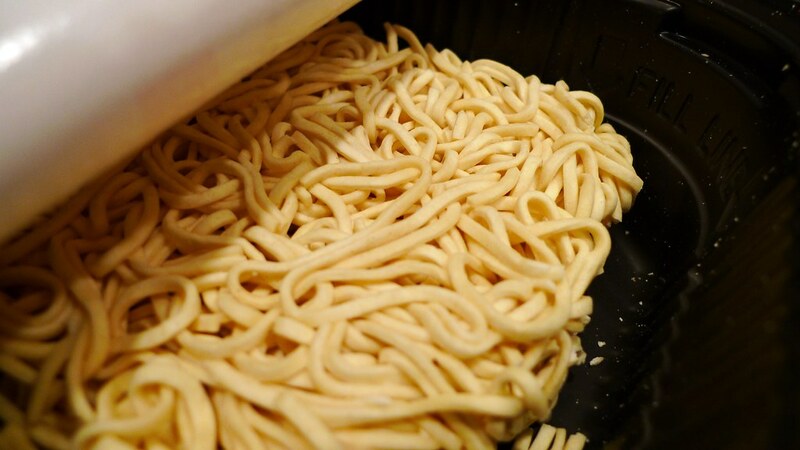 The noodles are similarly shaped to Top Ramen, except I would say they are a little thinner and wider. They are definitely a lot more firm. The flavor is okay, but I barely taste anything remotely chicken-like. It's not very spicy either. Ready to try them out. I can't say that I like this Chow Mein flavor very much. 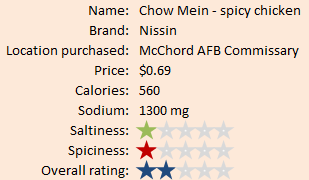 If you're just looking for salty, bland, chow mein, this one is for you. If you like flavor and a little bit more freshness, I'd avoid this one.